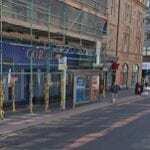 This page shows all the information you need regarding the Coral betting shop on Glassford Street in Glasgow. You can see the opening times as well as the latest offers and the location of the shop on the map. Below is the map listing for the Coral bookmakers in Glasgow located at 72 Glassford Street. Here are some photos of the betting shop so you can see where it is located on the high street. 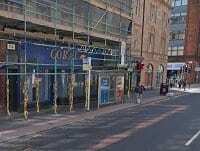 It is close to many other shops and restaurants as it is in the city centre of Glasgow. Coral Racing Ltd is a licensed Betting Shop located at 72 Glassford Street in GLASGOW G1 1BP. – Information from Find a Bookie. Glasgow is the most populous city in Scotland, and the third most populous city in the United Kingdom, as of the 2017 estimated city population of 621,020. Historically part of Lanarkshire, the city now forms the Glasgow City council area, one of the 32 council areas of Scotland; the local authority is Glasgow City Council. Glasgow is situated on the River Clyde in the country’s West Central Lowlands. Inhabitants of the city are referred to as “Glaswegians” or “Weegies”. It is the fifth most visited city in the UK. Glasgow has three professional football clubs: Celtic, Rangers, and Partick Thistle. A fourth, Queen’s Park, operate on an amateur basis in the SPFL League 2 and are one of the world’s oldest active clubs (founded 1867). Prior to this, Glasgow had two other professional teams: Clyde (since moved to Cumbernauld) and Third Lanark (liquidated in 1967), plus four others active in the league in the 19th century: Thistle, Cowlairs, Northern and Linthouse. There are a number of Junior clubs within the city as well, such as Pollok, Maryhill, Benburb, Ashfield, Glasgow Perthshire F.C., Shettleston and Petershill, as well as numerous amateur teams. Glasgow hosts Scotland’s only professional basketball team, the Glasgow Rocks, who compete in the British Basketball League. Make sure to check out the types of basketball bets before you place any! Previously based in Renfrewshire’s Braehead Arena and the 1,200 seater Kelvin Hall, the team has been based at the Emirates Arena since the 2012/13 season. Lots of people use Coral betting shops to place bets on these sports as well as using their website online.